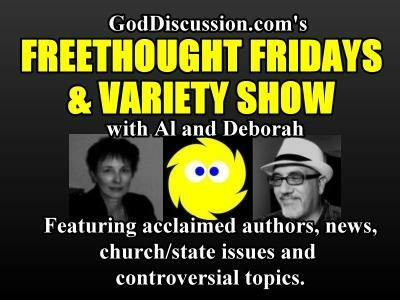 Two scientists find the anti-science “biblical worldview” espoused by many politicians these days to be disturbing. 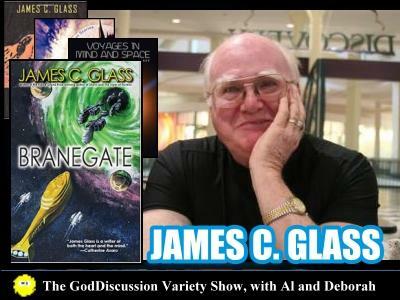 Before becoming a full-time author, James Glass' 35-year career included work as a professor of physics, department head and dean at North Dakota State University and Eastern Washington University. After writing 75 technical papers on his research in molecular bio-physics and superconductivity, he branched out into fiction writing and won the 1990 grand prize in the Writers of the Future Contest. His latest work is called Branegate, which is available on Amazon. 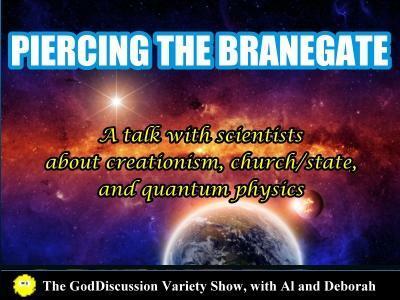 Branegate is a sci-fi thriller – involving the separation of church and state. Gary Ehlenberger is a retired Staff Scientist and Member of the Technical Staff with Motorola. He studied Mathematics at Arizona State University. 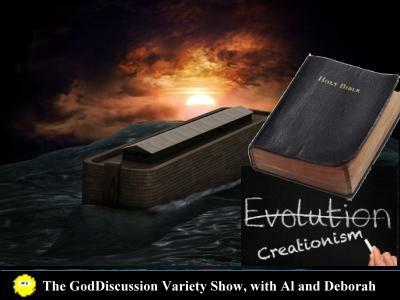 Topics include Glass’ writings, and then we’ll delve into education, politics and some cool stuff – like the Higgs Boson as well as theories about the multiverse and more. The show will begin with our usual news segment, where one of the “X-Women” -- Colleen aka Sautez – will have a special Scientology-related announcement. UPDATE! Chris Rodda will join us to celebrate the anniversary of "the Least Credible History Book in Print." 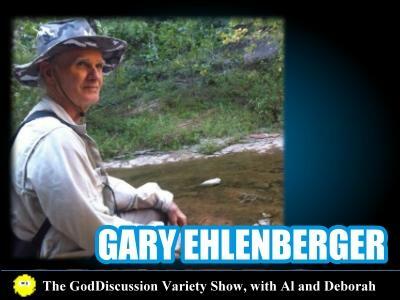 Please visit GodDiscussion.net for our guest links and upcoming shows.